On the night of 5th June 1944, as D-Day was imminent, over a thousand British aircraft were in action over the Channel. During the previous days, there had been co-ordinated attacks on coastal batteries and radar stations, all the time being painstakingly careful not to give any clues to the location of the forthcoming invasion. 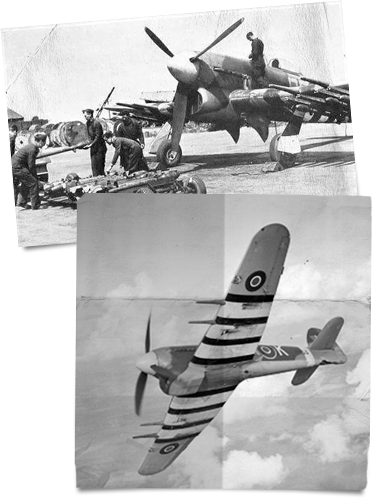 In a best effort to overcome the inevitable losses to friendly fire, all allied aircraft were painted with distinctive black and white stripes on fuselage and wings. Reminiscent of a small extract of piano keyboard, these stripes consisted on 3 white and two black. Aircraft were prepared with these markings for operational use from 3rd June, realising that normal IFF (Identification Friend or Foe) signalling would be overwhelmed due to the amount of traffic across the Channel during that period. On the day of the invasion, allied planes dropped tons of aluminium foil strips called “chaff” in order to deceive enemy radar into thinking that an invasion air force was heading in the Pas de Calais region. Even then, flight crews were not told of the historic significance of the night’s operations. Bomber crews were told that it was strictly forbidden to jettison bombs over the Channel that night. The renowned “Dambusters” 617 Squadron was given the central role in “Operation Taxable’; this was to create a detailed and credible diversion, simulating an invasion fleet on enemy radar screens. Intelligence reports were confident the enemy was convinced the invasion would take place in the vicinity of Calais. The RAF action further reinforced this belief. 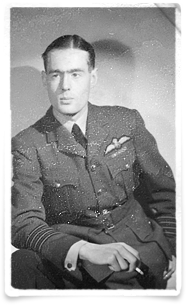 Group Captain Leonard Cheshire VC DSO/bar DFC led 617 Squadron’s effort that night in their Avro Lancaster four engined bombers. 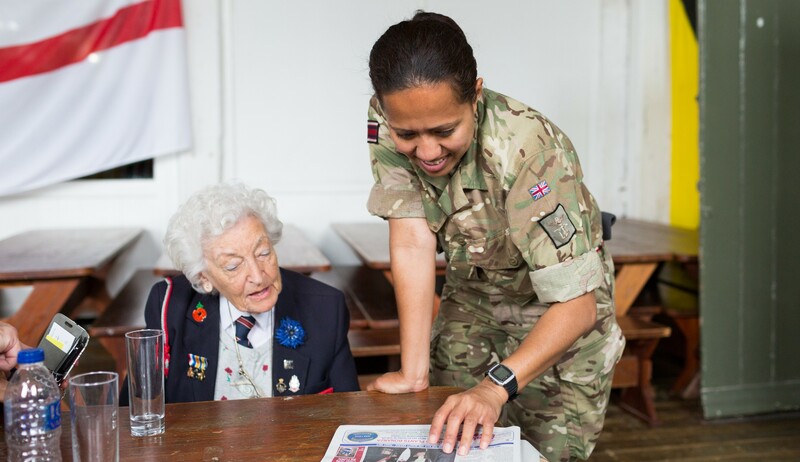 In harmony, 218 Squadron carried out “Operation Glimmer” at a different but nearby location. The plan was to create the impression of a grand invasion fleet of ships moving at 8 knots towards the coast of France at Cap d’Antifer which was approximately 60 miles east of Normandy. The first wave of Lancasters took off from Woodhall Spa at 23.00 on 5th June and began their precision movement off the Sussex coast. Eight aeroplanes had to fly in line abreast at 180 mph, with 2 miles separation between each aircraft, jettisoning “window” in timed bundles. After flying in this manner for exactly 2 minutes, all eight Lancasters would then turn 180 degrees away from the English coast for a repeated parallel run. After two hours, the second wave took over, making sure to carry on the sequence without interruption or deviation so the enemy’s radar imagery would remain consistent in its representation of the 8 knots progress. This whole operation was carried out, of course, in total darkness. Meticulous accuracy in navigation and flying resulted in a successful operation, maintaining the vital deception of the invasion force directed at the Pas de Calais. Meanwhile, another diversion tactic was taking place further west along the coast of France, closer to the Normandy beaches. Operation Titanic was designed to to persuade the Germans that the invasion was spread over a vast area and thus entice troops away from the actual invasion zone. In the early hours of the 6th of June, a force of 40 Hudsons, Halifaxes and Stirlings from the Royal Air Force dropped a total of 500 dummies in four separate locations. These dummies, known affectionately as “Ruperts”, were dropped as far apart as Yerville in the Seine-Maritime region and Marigny in the Manche. The dummies were by no means sophisticated and were mostly fabricated by stuffing straw and sand into sack cloth which had been stitched together in a cross shape to represent a human figure. They were equipped with an explosive charge that burned away the cloth after landing to prevent the enemy discovering their true nature too quickly. Twelve men from the Special Air Service were tasked to accompany the dummies and engage the Germans on landing, but to ensure some of them escaped to spread the word that hundreds of parachutists were landing in the area. They also carried recordings and amplifiers and played sound of rifle and mortar fire together with shouted commands, which they played for thirty minutes before withdrawing from the fake landing zone. 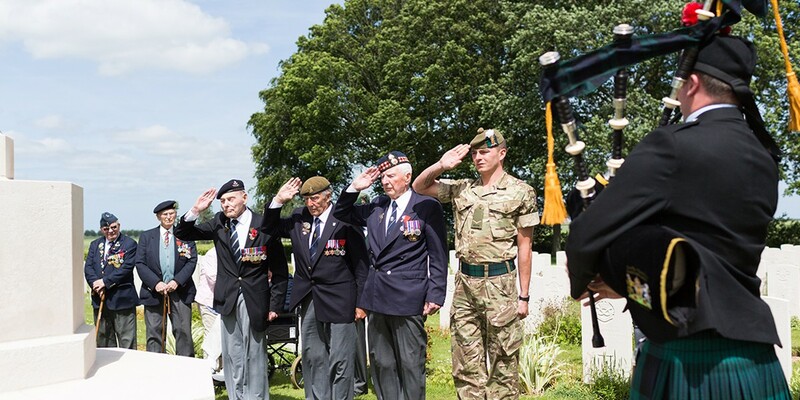 Sadly two Stirling aircraft and their crews were lost during the operation in the Calvados region and eight of the twelve SAS were killed in action or taken prisoner. However, by 02:00 on 6th June the Germans had reported parachute landings east of Caen and as far west as Saint-Lô. The 7th Army was placed on full invasion alert. Generalfeldmarshall von Rundstedt ordered over half of the 12th SS Panzer Division to deal with an an enemy parachute landing near Lisieux, but it wasn't armed invaders they discovered, just piles of sand, straw and cloth. The level of alert was decreased. 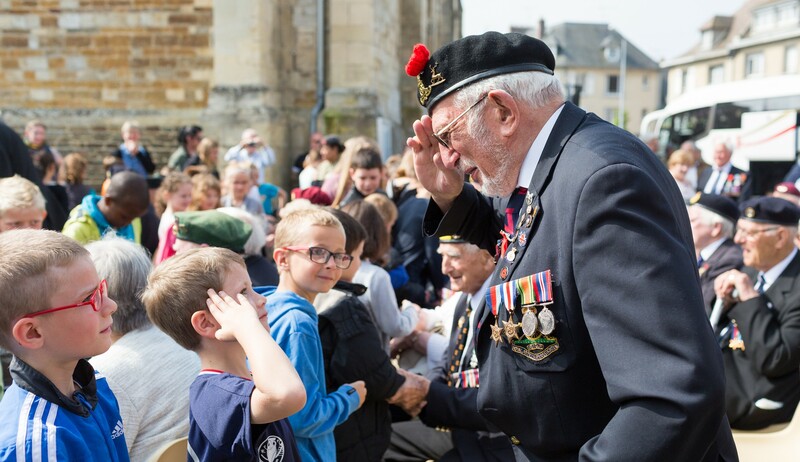 The SAS who landed around Marigny and Saint-Lô managed to divert the only reserve element of the german 352nd Infantry Divison away from Omaha beach, Gold beach and the 101st airborne drop zones. This distracted regiment spent the morning of 6th June scouring the woods for parachutists, instead of offering much needed support to their comrades at the coast. Overall Operation Titanic achieved its objective, confusing and distracting the german defence forces on the morning of the allied invasion. On the days immediately before D-Day, Typhoon squadrons destroyed several crucial radar stations, including the station at Jobourg which covered the Normandy beaches. Whilst the heavy bombers carried out their high level duties along the coast during the landings themselves, it was the relatively new Hawker Typhoon which was seen by the troops at lower levels. Known affectionately as the “Tiffy”, this formidable ground attack aircraft could concentrate on close support of infantry, especially when armed with air to ground rockets. Eighteen of the RAF’s twenty Typhoon squadrons were allocated to the 2nd Tactical Air Force. Their first task was to destroy the German radar net in Normandy. Some aircraft returning in the first light of dawn were able to catch glimpses of the invasion fleet through broken cloud. Most air crews had little idea of what was the reality below and were left to put two and two together as they performed their vital contributions towards the immense and combined allied effort. Later, as light failed at the end of the “longest day”, a further thousand aircraft were deployed against road and railway communications – cutting transport routes for potential enemy reinforcements, and hampering communication. Once troops had landed and were making progress out of the beach areas, the Typhoons provided extremely effective tactical support. The Normandy countryside was perfect for defensive tank warfare, where bocage countryside provided plenty of cover for enemy tanks and heavy weapons. It became a standard and life saving reaction to call in air support, and let a rocket armed “Tiffy” remove the obstacle.